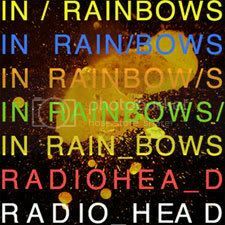 I’m sure everyone’s heard of this; Radiohead coming out with a release of their latest record called In Rainbows last 10th October exclusively only from here. Those who’ve managed to download all songs off record on said released date, are no less deemed as ‘lucky bastards’. Here’s to say, that I didn’t. Anyway, now that I have, and now that I’ve fully immersed myself in each and every one of the bafflingly gorgeous tunes, then all I’ve wanted to ask is, ‘Was that one heck of a great record or what?’ If the worth of the album is really based on numbers, than it’s worth way more than whatever number you’re thinking right now – really. 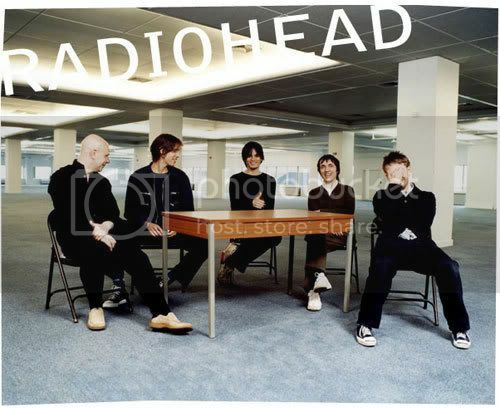 A not to shabby cover art for the album done by Stanley Donwood using the photographic etching technique, placing prints into acid baths, is one to be impressed by, in fact so impressed, that Stereogum wants you, yes you to name the orange blob in the middle. Some other fans got themselves busy predicting and coming up with their own interpretations, you can check that out here and tell me which one you like, I vote for the baby. I mean I would’ve went for the baby, but blobs it seems, is just more damn appealing – oh, well. I listen to the album; I think Sigur Ros and I listen to it a bit more, and it made me realize that Radiohead does sound a fair bit like Coldplay and Muse but with an inaccessibility that’s profound and filled with depressing tones, yet still capable of propelling each song to a state of grandiosity that’s difficult to achieve by bands like Coldplay and Muse. I feel like its music to all music, which makes it the best type of music there is. Oh screw it, here are some – love them as much as I do.